In the world around us, there are many opportunities. We just need to take the time to look and see. In 2007, I was introduced to this company and fell in love with it immediately. I decided I would become a preferred customer, place my orders, enjoy my products, and maybe try to get others interested in the products… and the possibility of residual income. This is actually an awesome opportunity and a great company. It’s difficult, in this time, to tell people about something like this, without them turning away. How often do you go to the grocery store or warehouse store? What do you pay in gas? How much time do you spend “shopping’? Do you truly know what you are buying? I asked myself these questions and have come to realizations. I spend way too much time and money at the store. I hate lugging bags to the car, to the house, etc. I really dislike traffic and the fact that gas keeps going up. So why would I pass up something that works for me? I have been a preferred customer since November 2007, I enjoy the products, I know what I am getting, I have gotten quite a few free items, I found products I can trust, and everything is guaranteed. If I don’t like it, no questions asked. The only requirements are: the yearly membership fee (less than $30) which is lower than warehouse store memberships and minimum product point order monthly. Order once a month and it comes direct to your door. You save time, gas, money, and have more free time. Think about it. I would love to tell you more. Please stop by and visit me there. I would love to have you follow me. It also includes all my contact information, if you are looking for products. Are you interested in Tastefully Simple? Do you need more products? Would you like to earn extra money, work when you want, and carry NO inventory? Like Food? Want to earn Money? 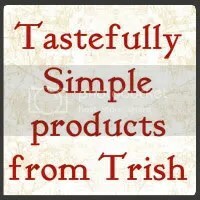 Tastefully Simple offers you great foods, awesome ideas, and even the opportunity to run your own business. I would love to tell you more about how you can earn money, meet new people, and have fun doing it. Tell me, who doesn’t like food??? Click my link below and it will take you to my Tastefully Simple Consultant Website. Moms can always use more time… for themselves, for their family, for their kids. They can also use more income, while having more time. What more could you want, but to get it all in one place… from your own home? Just by referring customers and promoting the products you love. Time freedom allows you to create your own schedule and make adjustments as necessary. Most corporate america jobs do not allow for that type of flexibility. Today, there are thousands of parents who sacrifice so much time with their children, in order to work and earn. With that thinking, we don’t feel there is any other option. Moms all over North America would rather spend their quality time with their children than sitting in the office, but it’s difficult to see any other way of life. Flexibility is something they want, along with a viable income, and something that will help them for years to come. That is where Melaleuca company comes in – no other company offers the sort of flexibility and financial reward. For that reason, Melaleuca has become a chance for so many moms to get out of the rat race and spend time with their children. For those thousands of moms, Melaleuca has given them a way to nurture their families, accomplish their goals, contribute to their family incomes and much more. I am a divorced, full-time single mom. I work full-time and go to school full-time. I don’t have a whole lot of free time. I shop Melaleuca at least once a month. I buy the regular stuff, such as dish soap, laundry soap, body wash, etc. Most of it, I don’t need to buy each month because of the concentrated formulas. When I don’t need those, I buy the fiber drink (so yummy), the access bars (for in-between energy boosts), and even the vitamins, to help me keep on track. Their products are made locally and are 100% guaranteed. Everything they have to offer has a benefit to those who use them. I have been a customer since 2007, so I am not new to this product. Our house is full of these different items and I love the way they work, and how they are delivered to my front door. I learned of these products while my son and I were in the martial arts, training. I started with the vitamins and was able to cut back on the medications I was taking. I felt good. I then supplemented with the Access bars and Sustain sports drinks. These products helped me to be the best I could and kept me energized. They were affordable… they tasted awesome… and they are 100% guaranteed. To this day, I use many of the 350+ products in my home, from vitamins to cleaning products. It’s amazing what these products can do. Join, try, enjoy! YOU will also find your favorite products.